Today U.S. Sens. 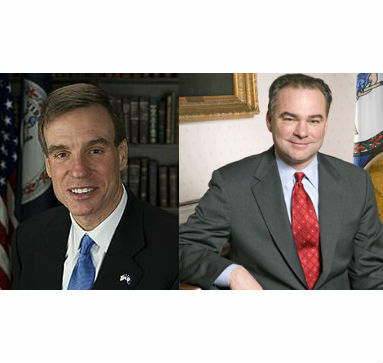 Mark Warner and Tim Kaine (both D-VA) issued a warning to their congressional colleagues ahead of the scheduled expiration of the Export-Import Bank – an export credit agency that guarantees loans to help foreign companies buy U.S. exports – at midnight tonight. Established in 1934, the Export-Import Bank is an export credit agency through which the government guarantees loans and credit to businesses otherwise unable to operate through private lenders. In FY 2014, the Bank supported $27.5 billion worth of U.S. exports – $10.7 billion of those exports from small businesses – while generating a $675 million surplus for American taxpayers. By financing the export of American goods and services, the Bank has supported 1.3 million private-sector U.S. jobs since 2009, supporting 164,000 jobs in FY 2014 alone. Sen. Warner is an original co-sponsor of the Export-Import Bank Reform and Reauthorization Act of 2015, which would reauthorize the Bank’s charter until September 30, 2019. The Export-Import Bank’s current charter expires at midnight tonight, and without congressional action, the Bank will no longer be able to conduct new transactions and will be forced to wind down its operations. From 2007 to 2015, the Export-Import Bank has helped businesses from every corner of Virginia export $2 billion in goods and services to countries around the globe. Some of the top Virginia exporters supported by Ex-Im include Bristol Compressors International, Orbital Science Corporation in Dulles, Mitsubishi Plastics Composites America in Chesapeake, and Optical Cable Corporation in Roanoke. In FY 2014, 90 percent of Ex-Im Bank transactions directly supported small businesses such as Mountain Lumber Co. in Ruckersville, Turkey Knob Growers in Timberville, Bone Doctors’ BBQ in Charlottesville, and Catoctin Creek Distilling Company in Loudoun.